PayPerHead.com is a premium service provider in the Pay Per Head industry. They have industry-leading solutions and allow bookies to offer the best sports betting platform, online casinos, and a premium racebook. 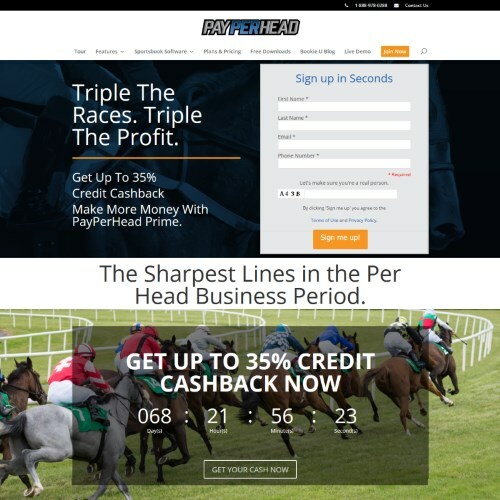 Our PayPerHead.com Sportsbook Pay Per Head Review is there to give you the straight up facts about this PPH company. Breaking into the sports betting industry in 1997, PayPerHead is one of the oldest providers in the industry. Which means they have the experience to keep bookies competitive. In addition, this company is known for having a top customer service and support department 365 days a year. With over two decades of experience in the business it’s no wonder they are the King of the PPH industry. In terms of software, clients have the option to use the DGS or the ASI betting platforms. Furthermore, these two gambling platforms are known as the best software in the American betting the industry. The first step we took was to open a sportsbook pay per head account which only took a minute to do. We love that the registration process is automatic and did not require any phone calls after submitting the sign-up form. In short, once we submitted the form, we were able to login and get started right away. 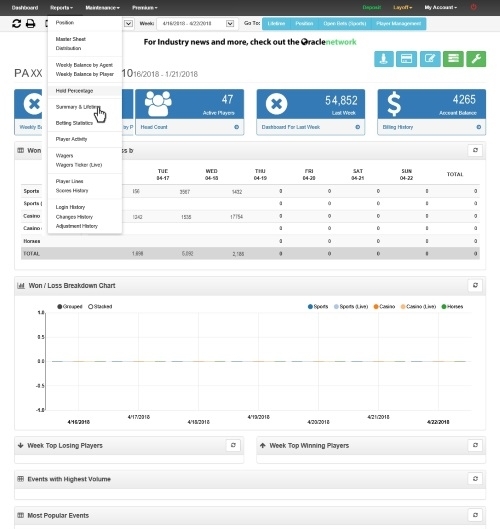 As soon as you login your agent account, you will notice that the dashboard is clean and easy to understand. This is a rarity today because most PPH services try to cram too much information in too little a space. It’s also completely customizable, so bookies can pick the information they need for their business. In addition, we liked that we did not have to search the website in order to create players or generate reports. Extra Bonus points for PayPerHead.com for making such an easy to navigate website. As experts that have been involved in the sportsbook industry for over 30 years, we were impressed with their software. This is not the ASI or DGS system you remember from working as a clerk in a sportsbook. 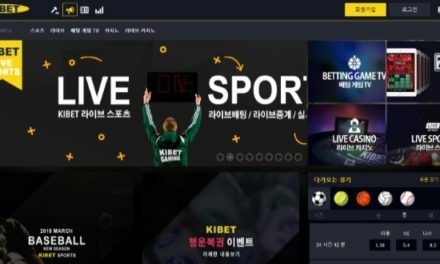 Instead, PayPerHead.com has totally revamped the software into an efficient and easy to use betting platform. Did we mention that they also use the Oracle Network? This is an information network that is designed to give great advice from industry-leaders for creating profits and understanding tools. Adding and editing your players has never been easier because of their efficient player management page layout. In addition, when you go to the player management page, you can see everything you need to know about your players with just a glance. You have complete control over your players from setting limits to enabling and disabling games and types of bets. 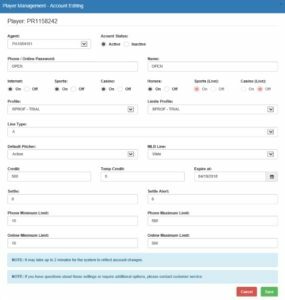 Generating player and agent reports is easy to do, plus, they even have pre-made reports to help you maximize profits. 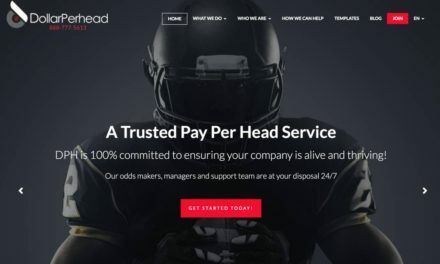 We highly recommend using PayPerHead.com for your sportsbook pay per head. 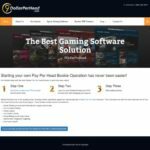 They have an excellent gambling platform and an even better support for a headache free experience. 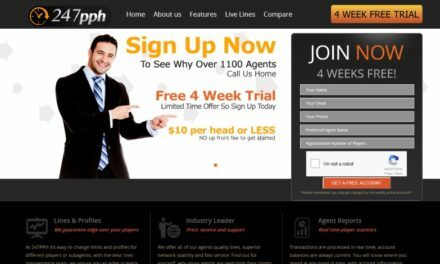 One of the advantages of using PayPerHead.com is that they have a Free 7 Day trial with no deposit required. Even though they have several plans which range from $10-$13 per player, we strongly recommend using the PayPerHead Prime Package. 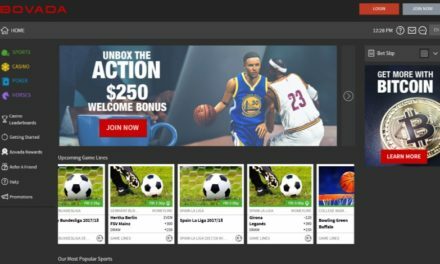 The reason is that you get sportsbook management tools that are not found anywhere else in the industry. Give yourself and your players the best gambling experience possible by using the PayPerHead.com PPH Solution! CLICK HERE TO OPEN AN ACCOUNT WITH PAYPERHEAD.COM AND GET THE FIRST 7 DAYS FOR FREE!